A leading provider of IT Advisory and Managed Services for the healthcare industry, announced today an expansion of service with a leading academic medical center. The name has not been disclosed for confidentiality reasons. The contract began with the use of an Interim Security Director and security analyst services provided through CynergisTek’s Advisory and Managed Services team. These roles were charged with facilitating and working with operational teams and management in the design, timing and approach of a multi-year security program roadmap. The scope for this new program was system wide, and included all of the associated hospitals, school of medicine, and clinics. “Many health systems know their existing security program is inadequate, but are in need of obtaining a complete evaluation which will allow them to make an informed business decisions about strategy, timeline and cost,” says Mike Gentile, CynergisTek’s Executive Vice President, Innovation and Security. Once the plan was approved, the second phase of the contract was to add resources to support internal teams in rolling out the multi-program efforts including activities such as system wide security governance, incident management, security architecture, risk & vulnerability management and forensics. “The sheer scope and magnitude of the security program efforts in health systems have increased dramatically. At the same time, most health systems prefer implementation approaches that use a blend of internal resources and our Advisory or Managed Service teams to maximize alignment with the organizational culture, while at the same time enabling the ability to scale. This flexibility is a cornerstone to our offering for security program development and one of the reasons we believe this offering has become so popular,” continued Mr. Gentile. One of the core capabilities that came with the Delphiis acquisition was building world class security programs and leading organizations recognize this competitive differentiator can enable them to implement innovation efforts quicker, thus enhancing patient care through seamless security practices. This methodology was anchored by The CISO Handbook, one of the first books written in the industry by Delphiis founder, Mike Gentile. 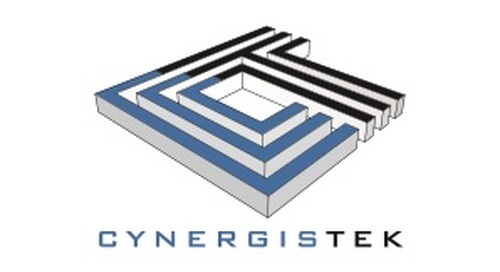 CynergisTek, through its recent acquisition of Delphiis, an Information Security company providing IT Advisory and Managed Services, in addition to Risk Management SaaS technology solution, brings a unique offering to the marketplace to ensure enterprise-wide security and improve patient experience through cost-efficient print and digital information technology solutions.